Rabbits are considered prey animals, meaning they have a wide range of predators, and almost any larger carnivore in the area may be a threat. 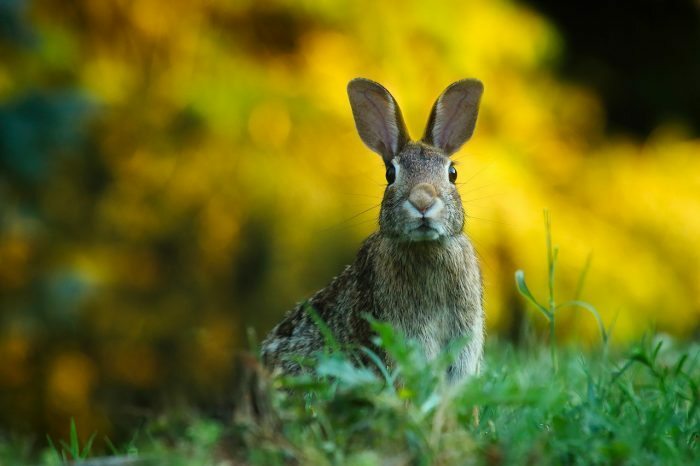 Wild rabbits are often eaten by snakes, eagles, hawks, owl, foxes and raccoons. Domesticated rabbits kept as pets can also fall victim to these predators if the rabbits are kept outside, but dogs and cats may also kill and eat rabbits. Rabbits have no defensive skills, which leaves them especially vulnerable to attack. Mother rabbits protect their young from predators by staying away from the babies so that her presence does not draw attention to the nest.